The first freeze is expected across much of the Dallas-Fort Worth area Friday morning. A strong cold front arrived in North Texas around 9am Thursday morning. It brought gusty north winds of 15 to 30mph throughout the day. The temperature which had reached 80 degrees on Wednesday, was considerably cooler Thursday, reaching a high of only 62 degrees. Friday morning was not officially the coldest of the season (last Sunday was 34 degrees at DFW and 25 degrees in Mineral Wells) but it was very close. Fort Worth and areas to the north & west dropped to the freezing mark with some spots as cold as the upper 20s. DFW Airport bottomed out at 36 degrees which means that we still have not seen the first "official" freeze, although much of the area has dropped below 32 degrees several times this season. 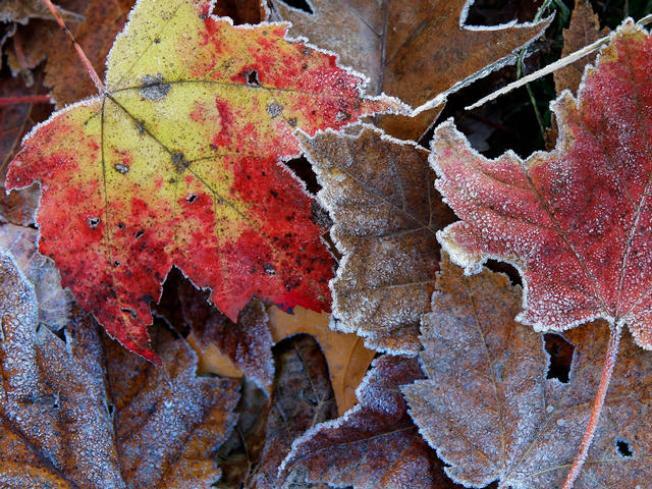 A freeze at this time of year is not unexpected; The average date of our first official freeze is November 22nd. Friday will be the coolest afternoon of the season so far. The winds will diminish and the sun will try its best to warm us up to only the upper 40s and lower 50s. We'll be back down near freezing again on Saturday morning. This weekend will feature increasing clouds, increasing temperatures and a slight chance for rain showers on Sunday.